Going paperless is very common these days, and you can see why. As well as being a green move that undoubtedly helps the planet, it also makes your workspace a lot more organized. Everyone will be able to access the things they need digitally without having to wade through piles of paper. Having more than one project in motion at once is sometimes necessary. It might not be ideal, but if you have a big enough and a talented enough team, it can be done. You just need to work on organizing your approach to project management and keeping the projects separate so that lines don’t blur. Create Custom Fields, Task and track time. Handling leads is important because those leads, when used correctly, can become sales for the business. A customer might not have bought anything from your business yet, but if you have a lead that’s handled properly and in an organized way, there’s always a chance that they eventually will do. Start your risk-free trial with no credit card required. Keeping track of those vital leads can be done in a variety of ways. You can use mind mapping software can be used to visualize the data and make use of it better that way. Keeping data together and in one place will allow you to track it far better. Swell is a really great platform for anyone doing team work. Without that ability to communicate quickly and easily at any time of day or night, things can become delayed and communication breakdowns can occur. It’s a simple to use and functional platform so always use it when you need to collaborate. Customizable forms can help with all sorts of tasks in the office, from trying to generate new leads to sending out customer surveys. Having forms that you can customize and use easily whenever you need to, you will make all of that stuff so much easier than it would otherwise be. It can be tricky finding the right balance between remembering all of the key passwords you need to have in place for various tech and software and also making sure your business is secure. Try to organize your passwords so that you can stay safe and remain efficient in the office. We recommend using Last Pass. You can easily share, generate, and even store secured records. If you’re not doing so already, taking online payments is something you need to offer as soon as possible. Without this, your business will always be seen as being stuck in the past. And it will provide you with a whole new way of clinching sales and making money as more and more people look to make purchases remotely. Swell integrates with Paypal, Stripe, & Authorize.Net to process payment efficiently online. Having a good scheduling system in place is a huge deal now days. When you have a lot on your plate and you’re fighting to stay on track, a scheduling system can help you remember what you need to be doing next and ensure you’re never overworked or trying to cram too much into a small window of time. A messy email inbox can be annoying and frustrating, but it can also be much worse than that. What if you were to miss a vital email among the mess that is your inbox? That’s a real possibility and it’s happened to so many business owners already. So for the sake of your business, tidy it up right away. Something as simple as having a calendar that you can note things down on can make a big difference to how organized you are on a day to day basis. We all have commitments and things we need to remember, and being able to see them visually displayed on a calendar can be very helpful indeed. Swell can sync your Outlook, Google calendars and allow you to share it with others. Systemizing your business is about breaking it down into its various categories and managing it in smaller chunks. This can make the process of organizing each part of your business far less overwhelming and challenging because you’ll be taking on small parts at a time rather than one vast company. The simple process of decluttering your workplace can make a huge difference to how things function in the office each day. Everyone should know where things are and where they belong. Anything that isn’t needed or is just taking up space should be removed during the decluttering process. Efficiency is one of those things that you should always be looking to improve upon because no matter how efficient you make your business, there’s always more that can be done. Find the slack areas in your processes and tighten them in order to produce more efficient performance daily. When things go over budget for whatever reason, things can also become messy and disorganized. By staying on budget and making sure that you’re able to make sure that your business is running sustainably, you will avoid financial problems and messy business practices. If you have long-term goals in place, there’s nothing at all wrong with sticking to them and making sure that you’re moving in the right direction with those goals. If you’re not able to stay true to your goals, you will lose direction and forget what motivated you in the first place. Every company has a unique culture in place, and there’s nothing wrong with that. You can work on your company culture, but first you need to really understand it. Only then can you shape it in the way you want to, so that’s something you should think about right now. Time management is a vital part of running a business and keeping clients happy. If you’re not on time and on schedule, they’re not going to be happy with you. So maybe it’s time for you to look for ways in which you can improve your approach to time management. 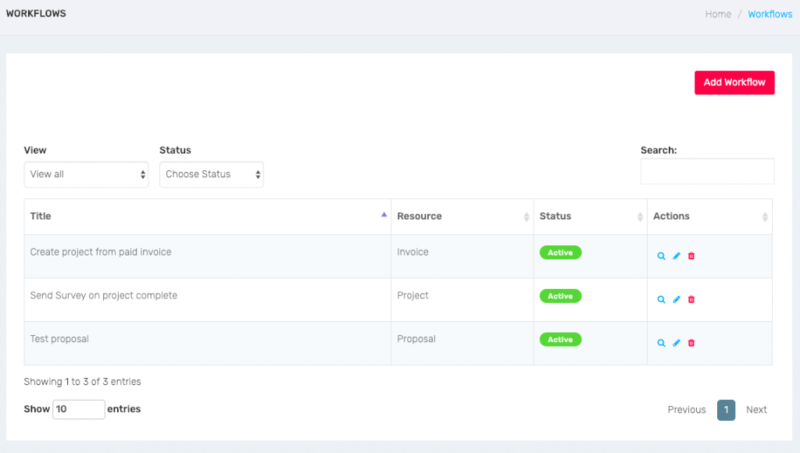 Swell can also assist in developing custom workflows to make sure you are staying on task and your client on boarding is flowing. We all waste time sometimes, and we often don’t even realize that we’re doing it. It’s one of those things that just happens when your mind isn’t focused and you’re not fully motivated. So try to identify the small amounts of time you waste throughout the day and put those bad habits right. An organized business is more likely to be a successful one over the long-term. There are plenty of ideas that you can take forward and implement in your business here, so make the most of them. The sooner you get your business properly organized and on the right track, the sooner you’ll achieve the things you want to.